At the inagural The Game Awards, Nintendo’s Eiji Aonuma and Shigeru Miyamoto showcased a brand new gameplay demo for the new Legend of Zelda game on Wii U. Originally announced at E3 2013, Zelda Wii U features a dynamic open-world depiction of Hyrule, taking on a more epic grand-fantasy type of feel. Players will be able to explore the massive in-game world and interact with the environment in new ways, and experience new dynamic combat mechanics to boot. The new gameplay demo takes place in real-time and highlights a number of pretty interesting never-before-seen features including new modes of transporation like the sailcloth. The sailcloth is straight out of Skyward Sword and is very much akin to a hang glider, letting Link fly through the air and seamlessly travel after jumping off high precipices. Epona makes her triumphant return as well, and serves as the primary method of travel in Hyrule. While riding Epona players won’t have to worry about running into trees or obstacles as the game automatically avoids them to give a more “natural” feel. Link can vault off of Epona’s back and shoot arrows in slow-mo while in the air, adding a new layer of depth to combat. The gameplay footage depicts control of Epona as easy and fluid, and at one point Aonuma remarks that players will barely have to press the Wii U gamepad to move her. This frees up your hands to do a variety of things like scouting the region by changing the view, or even plotting your course on the map via the Wii U gamepad. Link can also engage in combat while on horseback, including swinging a sword and shooting arrows. Our stalwart elfin hero can also vault off Epona’s back in a spectacular flip and fire arrows at enemies while he’s in the air. The game goes into slow-mo when vaulting off horseback to give you time to aim, making combat engaging and rather stylish. 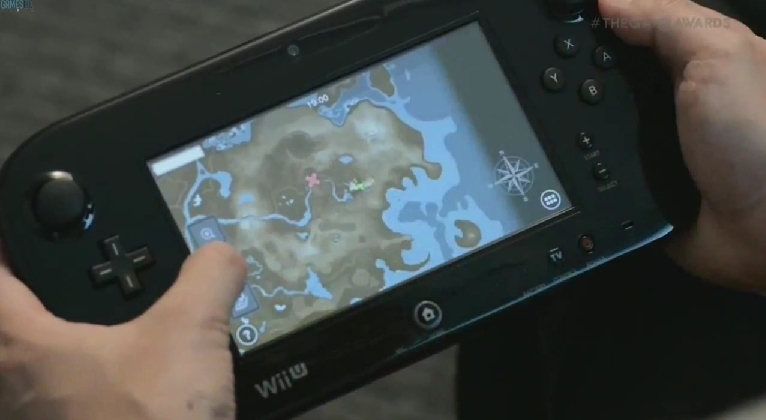 Zelda Wii U uses the gamepads innovative touchscreen as a second-screen map, letting gamers plot waypoints and check their location at any time. Using a spyscope Link can scout his surroundings and look for interesting areas. Even here Nintendo innovation shines through, as gamers can use the Wii U gamepad’s gyroscope to move the lens around. Zelda Wii U’s map system is also incredibly dynamic. Utilizing the Wii U gamepad’s touch interface, players can plot their own waypoints and zoom in and out of regions on a whim. 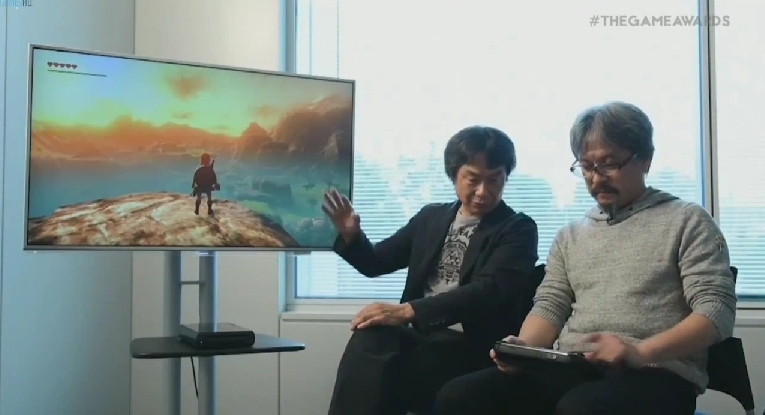 Aonuma remarks that the game world is pretty massive, and that it’d take Link a long time to traverse Hyrule on foot. There’s a number of little features that bring new depth to the in-game world as well: Miyamoto spotted some insects writhing on a rock while Link rode by on Epona, as well as some apples in the trees. Aonuma reveals that Link can “pick and eat” these apples, and we might even be able to hunt the animals as well. Thanks to the dynamic weather and time effects, players will come across some pretty immersive vistas throughout Hyrule. Although the gameplay trailer clocks in at a brief four minutes, it shows a wealth about Link’s new journey. The in-game world is spectacularly dynamic, filled to the brim with natural effects, flora and fauna, and region-specific environments like wooded hinterlands and sunny lakes. And there’s breathtaking vistas that look right at home in games like Skyrim. 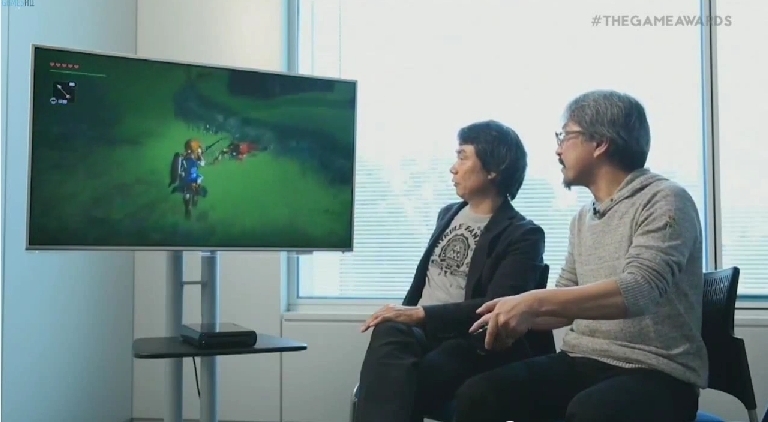 Zelda Wii U is currently slated for a release sometime in 2015, and Aonuma affirms that “all of the staff members are working together and doing their best”. At the closing of the footage, Miyamoto reveals that his new Star Fox Wii U title will be released in 2015 as well–actually before the Zelda Wii U release. XLE, LLE, HHE, HSE) and Atlas Copco Air Compressors XA, GA & GX series. for Air Compressor & Parts.